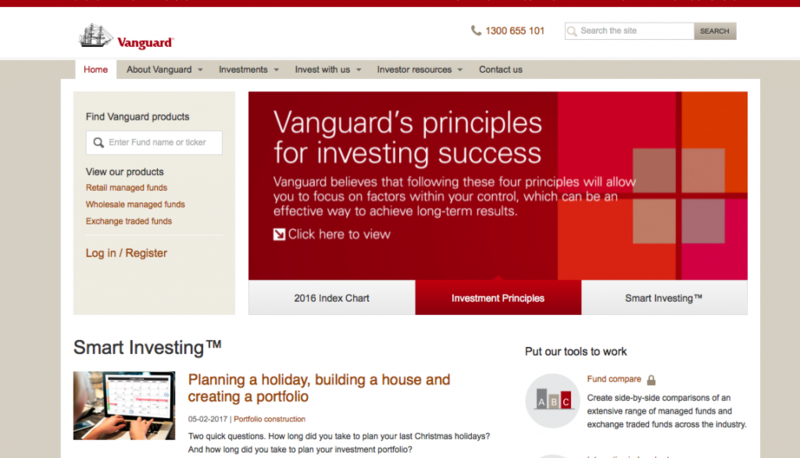 For a number of years now, I have been an investor with Vanguard Australia. I have been meaning to write a post about this for a long time. When a new reader, Jane, requested information about Vanguard, she prompted me to finally commit to writing this post. Thanks Jane! The trajectory of my life was changed significantly back in 2013 when I discovered Mr Money Mustache. In mid-2014, when we were just friends, I sent the link to Poopsie and pretty soon, he too was hooked. One of the biggest things I took away from his blog was his enthusiasm for index funds. At the time, I didn’t know what an index fund was. I had invested approximately $10 000 into the sharemarket over about five years. I didn’t particularly know what I was doing, as evidenced by the shares I still hold with almost no value. But here was a way of investing in the share market that, while of course returns were not guaranteed, involved no speculation at all and therefore the chances of earning money were increased. I was sold. There are many who explain it better than I- like MMM and Vanguard Australia. However, the basics of it are that an index fund invests to mirror the index. For example, if you were to have an index fund of the ASX 200, it would, as closely as possible, replicate the ASX 200. A very simplified example would be if the ASX 5 (not an actual thing) was made up of 20% each of company A, B, C, D and E, the index fund would attempt to invest 20% of all their funds into each of company A, B, C, D and E.
So what’s so good about index funds? Index funds match an index. This means the fund manager is buying and selling what is in the index. A managed fund, on the other hand, sees the fund manager buying and selling shares that they believe will make money. They are speculating. Gambling. Sure, sometimes they’ll win. But they’ll lose just as often, if not more. 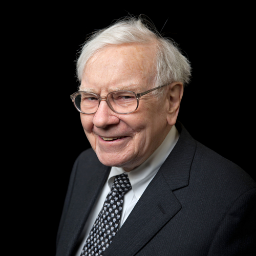 If it’s good enough for Mr Buffett, then it’s certainly good enough for me! I personally choose to invest directly with Vanguard. You can also invest on the sharemarket with Vanguards Exchange Traded Funds, otherwise known as ETFs. I originally researched both options. In order to invest in the ETFs, each time you buy a parcel of shares, you need to pay brokerage. The cheapest I have seen brokerage for is about $12 per buy (I have not looked into this extensively, so you may find cheaper). While the fees of the ETF are a little lower, I wanted to be able to invest in Vanguard evrytime I got paid, which is fortnightly. I didn’t want to pay brokerage everytime I did this. By investing directly with Vanguard, I could Bpay the money directly from my account with no fee. If you are intending to only buy parcels occasionally, then an ETF might be for you. For more information about this and other Australian investing options, I recommend you check out the Australian Investing Thread on the MMM Forums. Vanguard offers two direct funds: a retail fund and a wholesale fund. The fees are different for each, as is the initial investment. The retail fund requires an initial investment of $5000 and the wholesale fund requires an initial investment of $500 000. However, there are many anecdotal reports on the MMM forums that Vanguard will let you into the wholesale fund with less than $500 000. I can confirm this is correct as a couple of weeks ago, we switched to the wholesale fund for lower fees and to simplify our asset allocation. I have heard they will let you into the wholesale funds with as little as $100 000, so be sure to give them a call if you think the wholesale fund suits you better. After we emptied our retail funds to invest in the wholesale fund. The picture above is a screenshot of the Vanguard interface. Usually, we don’t have $0 invested, however I took this shot after our retail fund had been emptied and transferred into our wholesale fund. As you can see, we were invested in three different funds. Vanguard has a large number of funds, including bond funds. They provide thorough and informative fact sheets on their website about each fund. There are of course other index funds out there. To be honest, I did not look into these a great deal. I was so impressed with what I read from MMM, with what I read about Vanguard’s founder, John Bogle, and in the fact that Warren Buffett, the greatest investor in the world, recommended it, that I jumped in. I have never regretted this. For those who put a bit more thought into these things, Vanguard has an excellent reputation, not just in Australia but around the world. They are known for their low fees and consistent returns. Now, a number of years on since I began investing, I have learned a lot more about Vanguard. They provide excellent educational products on their website, of which I have devoured. Even if you don’t intend to invest with Vanguard, I do recommend you use these educational products as they talk about the sharemarket and index investing as a whole, not just with Vanguard. Each and every time I have called Vanguard for assistance or advice, the customer service has been excellent. I have also dealt with them via email and they’ve been prompt in getting back to me. Their online interface is user friendly and quick to update. In terms of investing: no. However, there are a few quirks that irritate me about Vanguard Australia. I don’t believe the same issues are faced by international users, at least not those in the USA and Canada. This appears to be Vanguard Australia being behind the times. In order to open an account, alter your account or sell shares, you need to print off a form and sign it. You then either need to post it in or fax it in. It’s 2017. No one uses faxes anymore. I struggle to understand why they can accept a faxed form but not a scanned and emailed form, but they won’t. This is very off putting to me as an investor. I want to be able to make changes to my account, particularly selling some of my shares, with the click of a button. I log into my account, just like a bank account. Why am I not able to make withdrawals from my account, like a bank account? Also, Vanguard Australia don’t have an app. An app would be extremely handy, especially if they entered the 21st century and allowed me to sell shares as outlined above. If I could do that on an app, I’d be very happy. I know security is important, but if banks can allow me to make transfers and payments via an app, I think Vanguard should invest in the security to be able to do the same. I did recommend an app to Vanguard back in 2015 and they told me they were working on it. I’m not sure when or if this will eventuate. I am very happy investing with Vanguard. Of course, you need to do your own research. I have purposely not included summations about investment returns in this blog post, as I believe that is something you need to look into yourself. Also, past performance is no guarantee of future performance. I am not here to vouch for the oodles of money you will make with Vanguard. However, you will make a more stable and consistent return than almost any managed fund. You will be free from extreme speculation. While I currently reinvest all of my dividends, one day I plan for them to fund our retirement. I look forward to that day. This blog post does vouch for Vanguard as a company and as an easy to use investment option. If you have any specific questions about our experience with Vanguard, please comment below and we can start a conversation that will help educate everyone. Do you invest with Vanguard? Are you interested in investing with Vanguard in the future? Please note that we are in no way affiliated with Vanguard. We have received no incentive or encouragement from Vanguard to write this post. They are merely a company we currently use, are very happy with and will continue to use in the future. I am also a big fan of index funds, and wish I’d discovered them sooner. I like Vanguard and hold VTS.ASX. Nice work on spreading the news about these as I feel they are still quite unknown to many novice investors. Thanks Miss Money Box. We wished we’d discovered them sooner as well, but better late than never! Really, really nice topic AWP. Buffett is right, it’s the best choice for most people and definitely takes the stress out of investing when it’s done so automatically. Hi, I just discovered your blog, what a great post! I was curious, I am in a similar circumstance, did the switch to wholesale involve transactions to sell all the units and buy new wholesale units, i.e. was it a capital gains triggering event? Hi FI Explorer, thanks for stopping by! Yes, the switch to wholesale funds is a CGT event. Unfortunately there was no way around that. There were no actual transaction costs or fees to make the switch. Vanguard also made it nice and simple by “holding” the money for us and then putting it straight into the wholesale fund- rather than transferring it into our account and then we would have to transfer it back. We’ll see how the CGT hits at tax time, but according to my calculations it’s a number we’re okay with- we figured it would only get larger the further into our investment journey we got, so we’re happy to make the change now. Haha, you’re welcome! Thanks for writing the post, and thanks for the tip about the possible flexibility with the minimum requirement for wholesale funds. Thanks for the detail AwP. We started investing with Vanguard this year – I’ll also get around to a post eventually. The tip regarding the wholesale funds is surprising. When I first saw the minimum buy-in I just laughed. While we are a long way off, maybe there will be hope for the future that we can move to even lower fees. I am not sure why they don’t advertise the flexibility with the wholesale funds more, as I think there would be a lot of people interested in making the switch. Keep investing and pretty soon you can start enjoying the lower fees- it’s amazing how quickly it can accumulate! I wonder what would happen once a Vanguard retail fund hit the $500K mark limit? Also, how did the CGT event go….was it bearable? I am guessing nothing as VG would make more money in fees if you remained retail, so it wouldn’t be in their interest to suggest you switch. I could be wrong though. I ended up with roughly a $4k tax bill. That’s a mixture of switching funds and withdrawing funds for our house deposit last year. Certainly not something I am pleased about paying, but not the end of the world.